This week I let Drew pick our Category and he chose Bees! 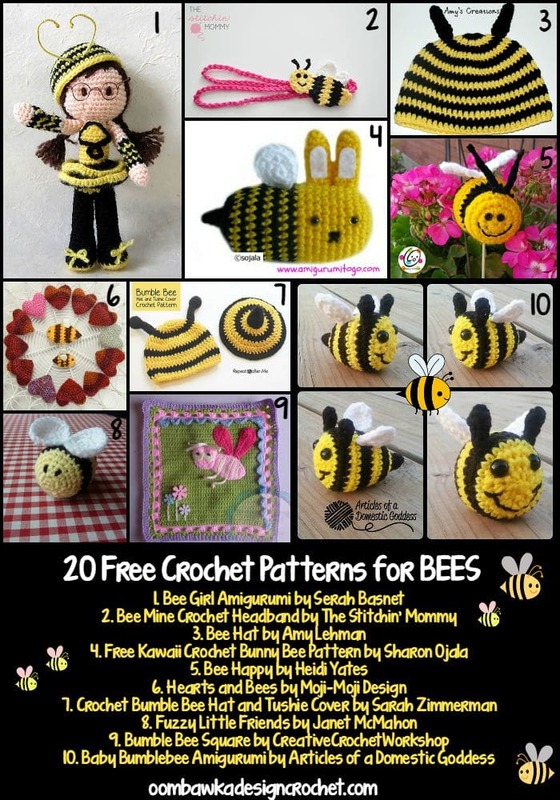 Hope you are ready for these – here are 20 free crochet patterns for bright and colourful bees. Thank you Theresa 🙂 I’m happy you liked the round up of crochet bees! Cute round up. Pinned for later.